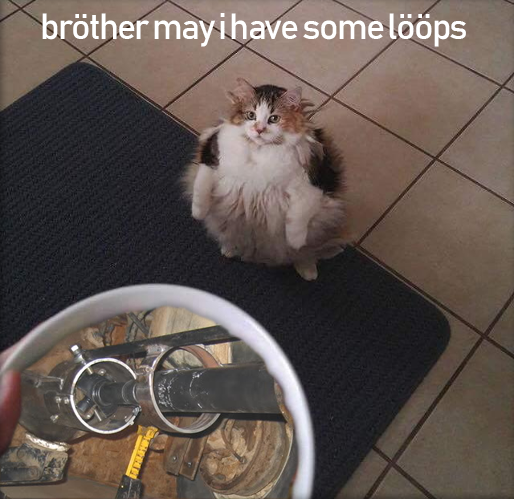 Driveshaft loops - Miata Turbo Forum - Boost cars, acquire cats. So, if all goes according to plan, my car will be fast enough to get me booted from an nhra track for safety regs. however, in an attempt to NOT have this happen, and extend my life expectancy, i need to put safety loops in. The regs are fairly straightforward. Howlever, the application in a miata isn't something that i havw had much luck searching. my understandingis that i need driveshaft and cv axle loops due to slicks and an engine swap. I remember that I concluded only driveshaft hoop is needed, but I don’t recall why. I am thinking a 3” or 4” SST welded pipe as that will be lighter than 1/8” x 2” strap. Welded pipe only has to be 1/16” x 1”. 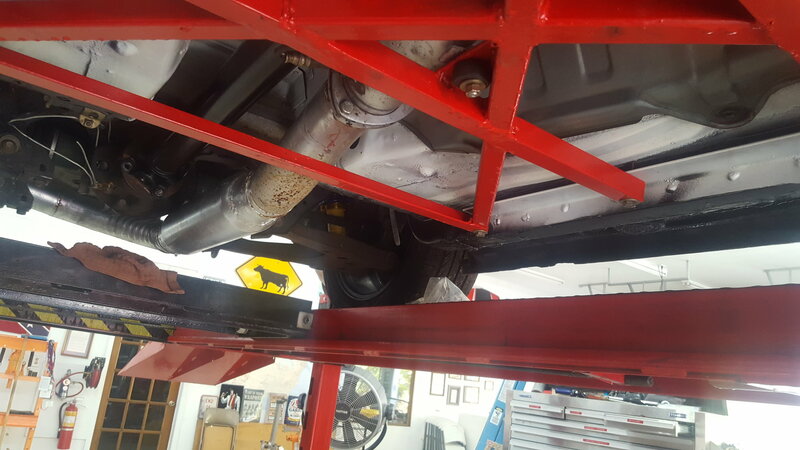 It will require unbolting the driveshaft, however. 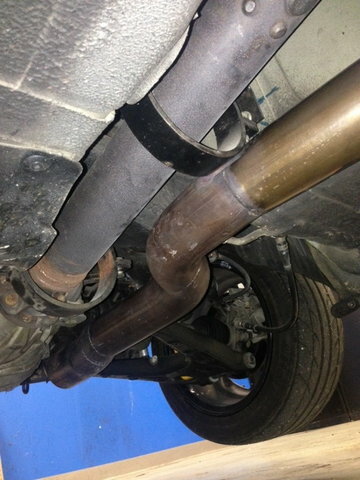 Thought is to tie the loop over to the PPF via pieces of same pipe. Last edited by DNMakinson; 11-11-2018 at 04:09 PM. Id be fine removing the driveshaft to remove the loop. unfortunately I don't have a ppf to attach to, and my butterfly brace probably doesn't count as durable enough to suffice as its only 1x1x1/8 angle and square tube. This. Front u joint just above the x. Round tube, a couple piece of flat bar, and then bolt through the floor with washers. If you just used strap welded to your existing brace, it would likely pass muster at 99% of tracks, since the rules only require that it be "securely attached" to the rocker boxes. If the tubing is at least 7/8" by .065" wall, it's an even stronger argument. I have safety loops on the axles and 2 on the driveshaft. They are insurance just in case anything might ever happen. Unfortunately, I used the one on the drivers side a few weeks ago. When researching my V8 swap I came to the same understanding as you on the drag strip requirements. At my local track they also break things down further based on how fast the car runs which might (or might not) force me to have a roll bar. 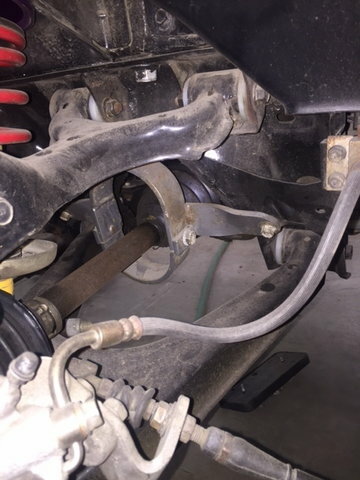 I did a driveshaft loop on my build but not the axle loops but might add them later this Winter. Real simple to do yourself. See post #84 for the picture and installation instructions. Could ground loops cause Serial Input to be erratic? What is considered normal hot track coolant temp?